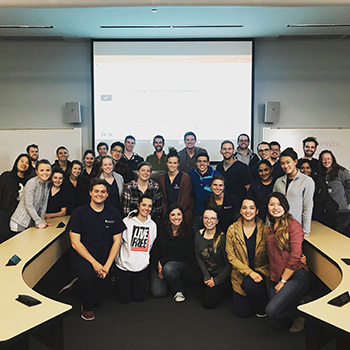 I had a really fun night speaking to the Business Study Club at the University of Colorado School of Dental Medicine last week. Not surprisingly, most of the training a student receives during dental school has to do with the biology and techniques associated with dentistry, not the running of a dental business or the ins and outs of real-life dentistry. Not only was it flattering to be invited to provide this kind of mentoring, but it was very rewarding to spend time with enthusiastic people who share in the joy of the Dental profession.